Rev. Kratzer wrote numerous articles for the Christian Science periodicals. Mrs. Eddy herself commented favorably on one of them, which was entitled Dominion Within. His book "Dominion Within" will be a helpful edition to any library. The book includes 25 articles in total. 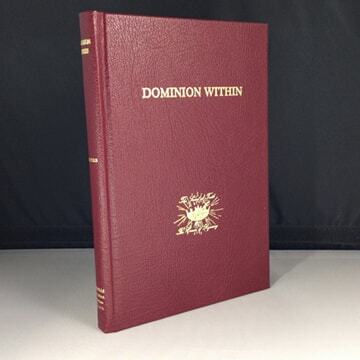 This beautifully bound dark red leather edition is trimmed in gold leaf and has 144 pages. It would make a very handsome and valuable gift.